This unique and extraordinary Edwardian-era design features a mesmerizing oval-shaped natural opal cabochon in 14K yellow gold. Two half-moon shaped diamond accents and glitter in the elegantly detailed platinum shoulders (approx. 0.12 total carat weight). 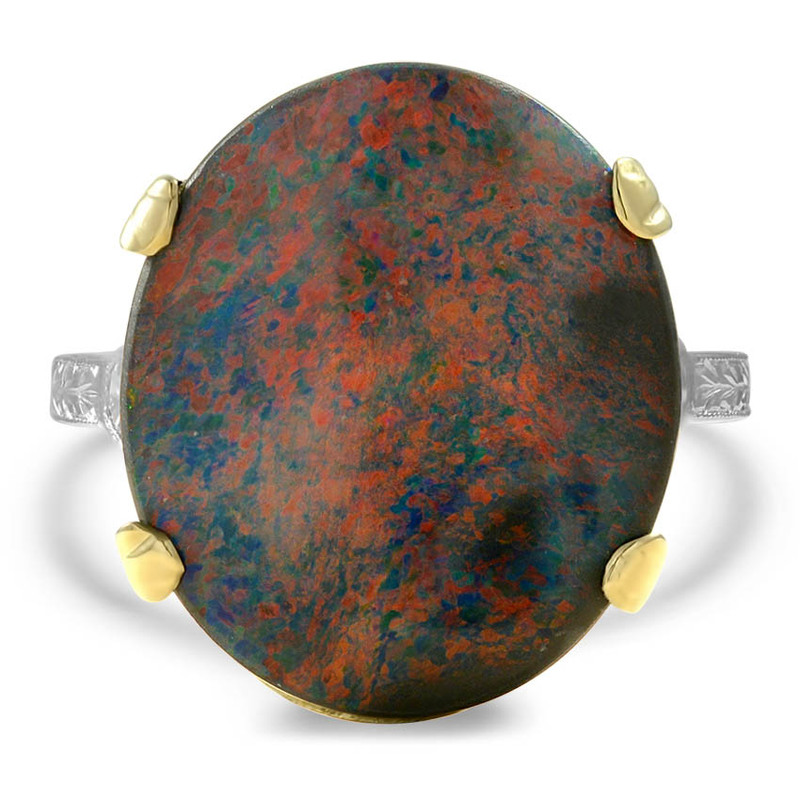 18x15.5mm oval-shaped natural opal cabochon, bluish black color, strong play of color, approx. 5.69 ct. tw. Two half moon-shaped diamond accents, H color, VS1 clarity, approx. 0.12 ct. tw.